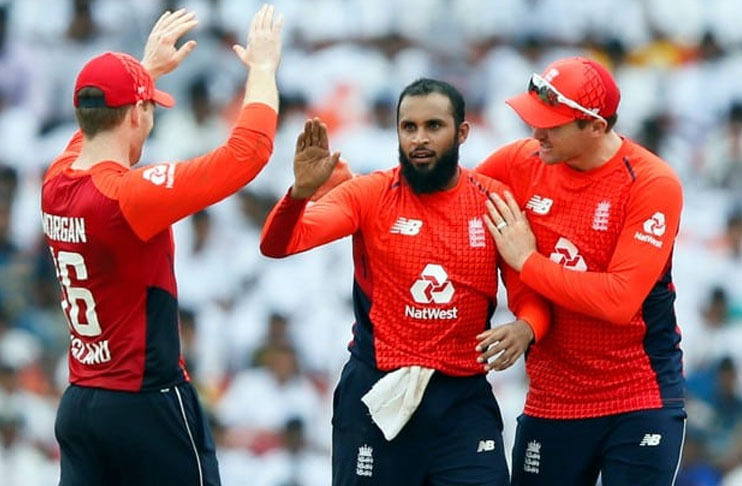 PALLEKELE, Sri Lanka: England beat Sri Lanka by 18 runs via the Duckworth Lewis method in the rain-marred fourth one-day international on Saturday to take an unassailable 3-0 lead in the five-match series. England’s test captain Joe Root was unbeaten on 32 at the crease with his ODI counterpart Eoin Morgan 31 not out, the duo adding a crucial 56 for the unbroken third-wicket partnership to keep their team ahead of the run rate. Dickwella hit a 70-ball 52 and with captain Dinesh Chandimal laid the foundation for Sri Lanka’s innings with a second-wicket partnership of 70 runs. But the hosts slipped against the off-spin of Moeen Ali and leg-spinner Adil Rashid, losing three wickets for 13 runs to be reduced to 102-4. Shanaka then launched Sri Lanka’s counter-attack, taking the aerial route to hit the spinners for sixes and fours. He added 52 for the fifth wicket with Dhananjaya de Silva to start Sri Lanka’s recovery.